The National Assembly has approved the resolution on socio-economic development on November 8 with GDP and CPI targets for 2019 set at 6.6-6.8% and 4% respectively. Export turnover is expected to increase by 7-8% and the ratio of trade deficit to total export turnover will be below 3%. In the previous NA meeting sessions, many deputies suggested keeping the GDP target at 6.5-6.6%, the same as 2018, while others said that the goal could be higher, at 6.8-7%. 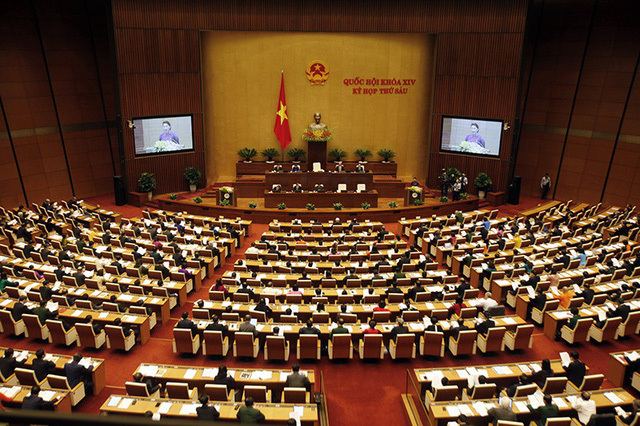 The NA Standing Committee said that 6.8% target for 2019 had been carefully calculated based on Vietnam record this year, assessments by international organisations and financial balances and forecasts for the economy. The 6.6-6.8% GDP growth for the next year is also cautious in relation to inflation problem, aiming to create a stable platform for the macroeconomy. CPI target was set at 4% since inflationary pressure is rising along with fuel prices, financial risks and conflicts between major countries. The larger goal is to bring the inflation rate to 3% by 2020 as stipulated in the Socio-Economic Development Plan for the 2016-2020 period. Vietnam must closely monitor any international instability in order to ensure flexible monetary policies. It also needs to quickly improve transport infrastructure and policies for the high-technology, communication and information sectors. While Vietnam has many tiny and medium-sized firms, it lacks large-scale firms that can be highly competitive. The National Assembly urged related agencies to tighten control and have measures to prevent transfer pricing, tax avoidance and state budget deficit such as restructuring public investments. Vietnam will continue to divest from state-owned firms and deal with loss-making firms. There are many tasks await in the coming year including establishing financial centres in big urban areas and dealing with bad debts.